Its official: policy makers haven’t got a clue! Another own goal has been kicked. It is clear to me that policy makers have lost complete touch with reality. They are earning so much money that they wouldn’t even think to baulk at paying a mortgage broker a few thousand dollars for loan advice yet forget that over 90% of the population would run a mile from paying a fee of that magnitude to a mortgage broker. Hence why this week we had an exodus on mortgage related stocks like Mortgage Choice and AFG whose business models are based on commissions all because Mr. Hayne wants clients to pay the fee. And where do you think those clients are now going to go for their loan, yes you guessed it straight into the local Bank and hence why Bank stocks jumped significantly this week. Just what the commission was meant to avoid. The ineptitude in their policy logic is astonishing. Sure, remove trail commission which is money for nothing but removing upfront commission will send brokers broke and into the Banks as employees. Bank margins on loans should increase since it is doubtful Banks will lower their rates to consider the commission they are not having to pay out to brokers. Perhaps a flat rate of commission and a capped dollar fee on all loans to avoid brokers pushing people into higher commission paying lenders and higher levels of debt would’ve done the trick. Apologies for my little rant but it beggar’s belief that they would reward the very institutions that brought this royal commission on in the first place for their wrong doings. 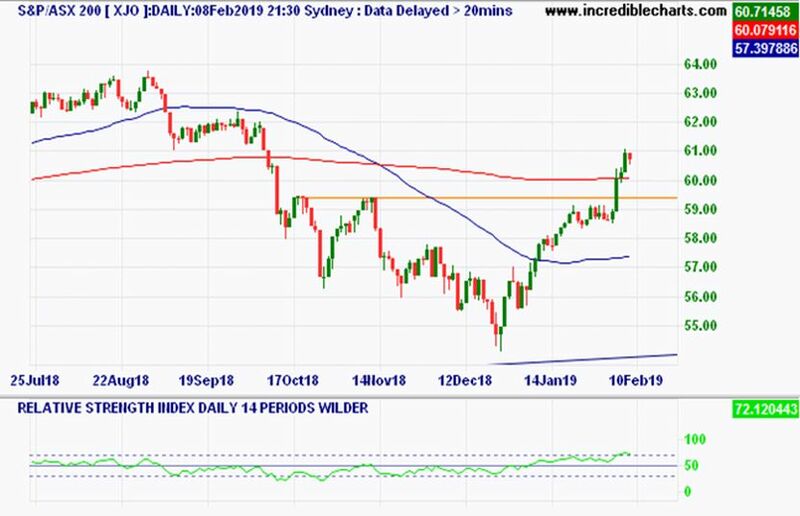 On the daily Financial chart below, you can clearly see the result of the policy decision on the Tuesday range with the sector closing in on the 200-day moving average and with a confirmed higher low. This is a sign of a turnaround although I’m not saying the Financial sector is out of the woods yet as they have further headwinds, but they have been given a massive reprieve. This is reflective in our overall market with the ASX 200 having a good week due to the high allocation to the Financial sector. I did mention last week that if I were a betting man, I would be going the bullish side and that the resistance level at 5950 was weak if best. 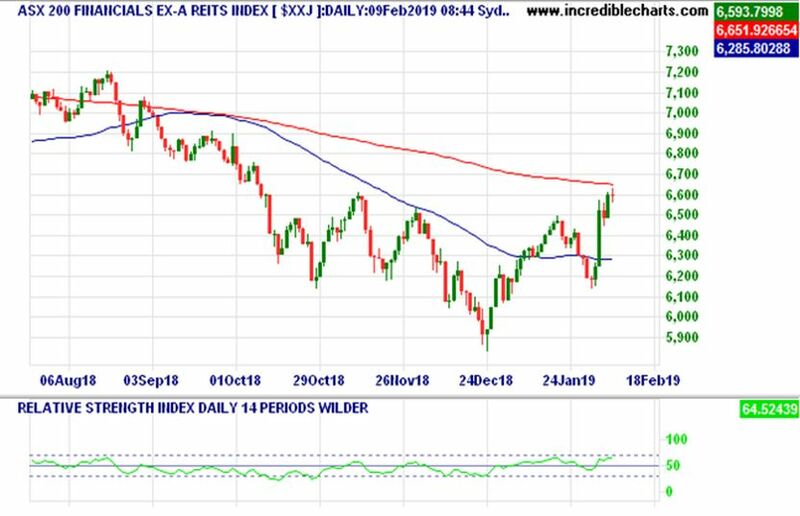 Our market is now above the 200-day moving average which is a sign of strength but as mentioned above I wouldn’t be getting ahead of myself here especially considering the recent RBA forecast. 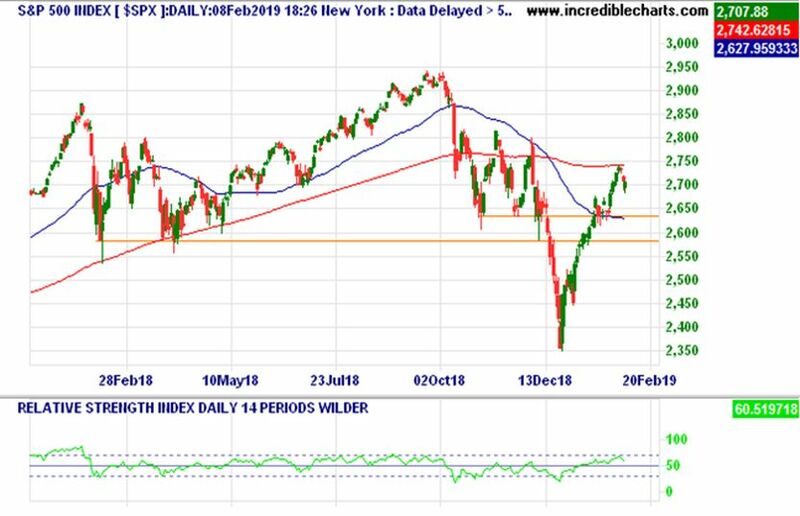 However, I would suspect a period of consolidation in the coming weeks considering the S&P 500 is looking a little weak in the short term as it is barely hanging to its recent peak. Now it’s over to the politicians to add to the policy debacle. Enjoy your week! This message contains privileged and confidential information intended only for the use of the addressee named above. If you are not the intended recipient of the message you are hereby notified that you must not distribute, copy or take action in reliance of the information contained in this message. If you have received this message in error, please notify Life Plan FP immediately. Any views expressed in this message are those of the individual sender, except where the sender specifically states them to be the view of Life Plan FP. This email message is intended only for the addressee (s) and contains information, which may be confidential. If you are not the intended recipient please do not read, save, forward, disclose, or copy the contents of this email. If this email has been sent to you in error, please delete this email and any copies or links to this email completely and immediately from your system. The information in this email is not to be taken as taxation, investment or personal advice and is only an indication of the views of the writer and cannot be relied upon by the receiver. Should the information be acted upon the receivers are doing so at their own risk. If the receiver requires this advice to be used and acted upon they will require this to be presented on the letterhead of the writer. Life Plan FP have made every reasonable effort to ensure the information provided is correct, but Life Plan FP makes no representation or any warranty as to whether the information is accurate, complete or up to date. To the extent permitted by law, Life Plan FP accepts no responsibility for any errors or misstatements, negligent or otherwise. The information provided may be based on assumptions or market conditions and may change without notice. Reprinted with permission of the publisher. Content included in this article is not by association the view of FNArena (see our disclaimer).